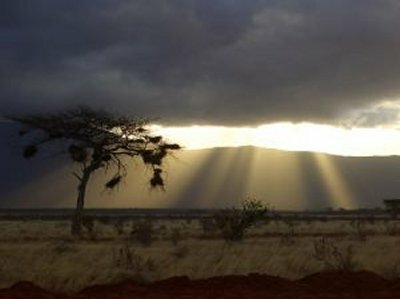 Have a look at this beautiful Kenya picture gallery! As you can see, scenery and wildlife in Kenya can be stunning. It’s no coincidence that Kenya is one of the top safari destinations in the world. Above: Kenya is one of the top safari destinations in the world. In the national parks, you’ll can spend days (and nights) in the bush between the wild animals. Go the the Kenya safari photos. 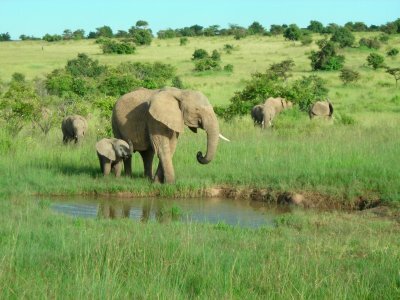 Above: Elephants in Masai Mara national reserve, the most popular wildlife park in Kenya. Go to the full Masai Mara picture gallery. Above: The Masai are arguably Africa’s most famous tribe. They mainly live in the south of Kenya (Masai Mara) and a part of Tanzania. View all Masai warrior photos. Above: Most Kenyans have adopted more or less modern life styles. This is especially true in Nairobi, which is one of the most developed cities of Africa. 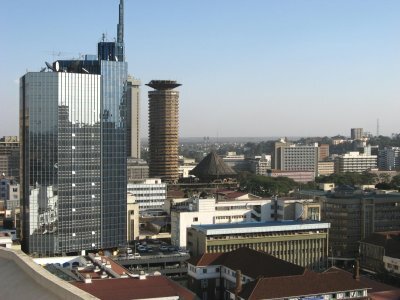 See all Nairobi photos. 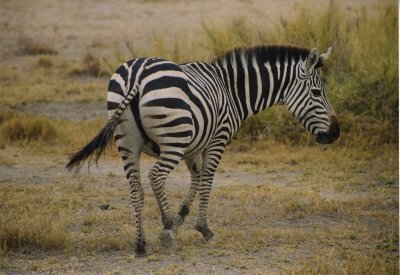 Above: a zebra at Amboseli National Park, the second most popular wildlife park after Masai Mara. They are relative close, reason why many tourists visit both in one itinerary. Here’s the full Amboseli picture gallery. 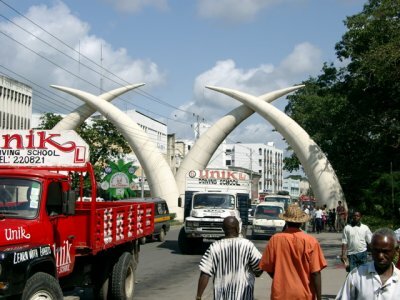 Above: The tusks are the symbol of Mombasa, Kenya's second city at the coast. Mombasa has a beautiful old town centre with the famous Fort Jesus at the core. View all Mombasa photos. 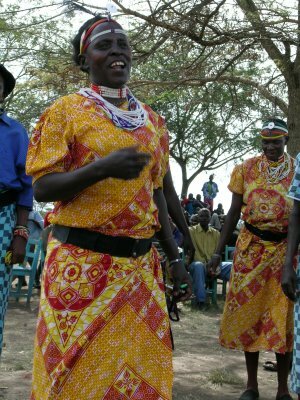 Above: A woman from the Kuria tribe, singing and dancing. 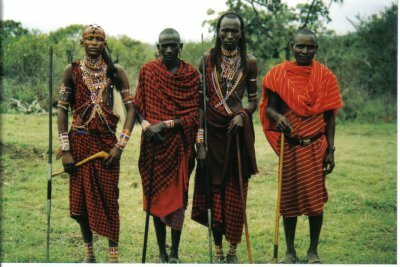 Kenya has over 40 tribes, though some count even as much as 70 or 100 tribes. See more pictures of Kenya people. 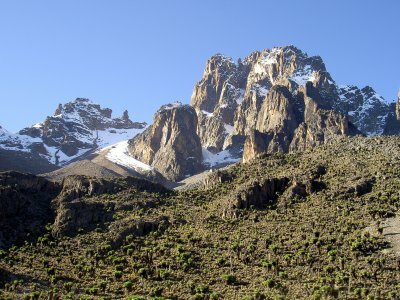 Above: Mount Kenya is the highest mountain of Kenya and the second highest of the entire African continent (after the Kilimanjaro) – the summit is 5199 metres. View all Mount Kenya pictures. 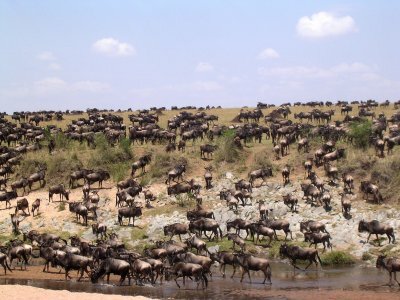 Above: The annual Wildebeest Migration, when around half a million animals trek from Tanzania to Kenya and back again, has been called one of the greatest wildlife shows on earth. See more Kenya safari pictures. 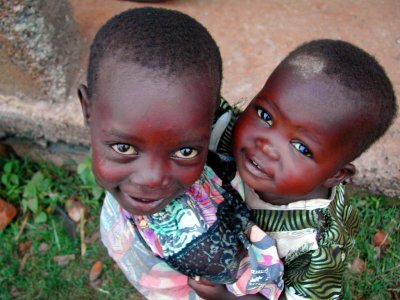 Above: Orphanaged children in Kenya. One of the good things that president Kibaki did (next to several pretty bad things) is introducing free (and compulsory) basic eduction for all Kenyans. View more Kenya photos. 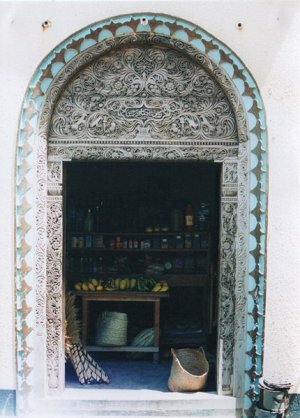 Above: The island of Lamu has undergone Arab influences for more than a thousand years. It's one of the most colorful places in Kenya. View additional pictures of Kenya. Kenya is diverse, even confusing. Next to poverty and the bad health situation you see a basically happy and relaxed people who enjoy the simple pleasures of life and always make time for you. There are tribal conflicts, but also a basic hospitality and friendliness towards strangers. As Danish author Karen Blixen, who wrote the novel ‘Out of Africa’ on which the famous movie was based, hinted at this double nature once: "Africa, amongst the continents, will teach it to you: that God and the Devil are one, the majesty coeternal, not two uncreated but one uncreated, and the natives neither confounded the persons nor divided the substance." Please also tell the story that goes with the story. Your picture and story will become a seperate page on this site! You can return and upload as many pictures as you want, but please note the maximum size is 800x600 pixels. Your story and picture will appear on a seperate Web page exactly the way you enter them here. You can wrap a word in square brackets to make it appear bold. For example [my story] would show as my story on the Web page containing your story. Please upload your photo here. Click the button and find it on your computer. Then select it. Sore and Martina. Sore with the hanging ears, a right of passage in the Kurian community. I got this photo when heading back to camp in the Masai Mara this past June. These male and female giraffes appear to be joined at the hip!